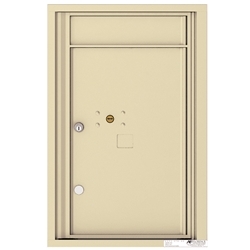 The Florence versatile™ 4C Parcel Locker is designed to match 4C mailbox suites. This parcel locker module will provide additional package delivery options for your residents. Height: Unit height is 26-3/4"
Silver adhesive decals with black numbers are included for door identification.